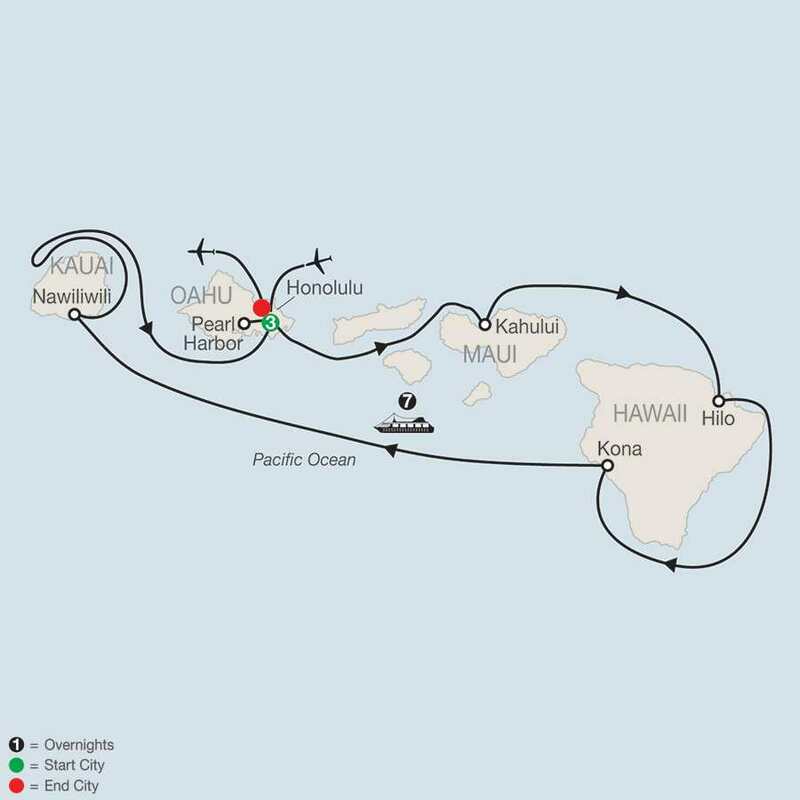 On this Hawaii cruise tour, you’ll have a chance to visit and experience these islands plus enjoy three nights in Honolulu in a partial ocean view room at the Sheraton Princess Kaiulani. We also include a sightseeing tour on Oahu featuring Pearl Harbor’s famous Battleship Row, home of the USS Arizona, which commemorates the crewman who lost their lives in the historic Pearl Harbor attack. So grab your camera, pack your swimsuit, and be prepared to relax, renew your spirit, and enjoy the laid-back atmosphere in paradise! Leave the navigating to us – and just sit back and enjoy the ride. Learn how we are reducing transportation related energy use and greenhouse gas emissions. Begin with a tour of PEARL HARBOR’S famous Battleship Row. Listen to a narration of the dramatic air attack of December 7, 1941, and visit the USS Arizona and the impressive MEMORIAL dedicated to the 1,102 men still entombed. You will also have an opportunity to visit the MUSEUM, an excellent way to learn about Pearl Harbor Day, the Japanese strategy and military craft, and the individuals involved in the attack. Then, on to Punchbowl National Cemetery with its beautiful views of Honolulu. Other sightseeing includes Chinatown, the Hawaii State Capitol, royal `Iolani Palace, and the statue of Kamehameha the Great. Tonight is an included dinner at your hotel. Today is all about independence. You’re free to relax, swim, enjoy water sports, or laze on the beach. Take the optional excursion to the Polynesian Cultural Center for authentic island arts, crafts, history, music, a dinner buffet, and a spectacular Polynesian show with more than 100 performers. This evening there’s an optional sunset cruise with dinner, Hawaiian cocktails, and splendid views of the glittering Waikiki coastline and Diamond Head. Your local host will have recommendations for the best places to shop and dine. Your day is free before boarding your cruise ship, the Pride of America. Bid farewell to your local host. Once on board, there’s time to explore your home for the next seven nights. During your cruise adventure, you will have the freedom to choose from the many amenities on board. Anchors aweigh! Ship departs at 7 pm. Good morning–welcome to Kahului, Maui. The “Valley Island” has been voted the best island in the world. This tropical paradise has it all: hundreds of spectacular beaches, cascading waterfalls, flourishing jungles bursting with color and birdsong, dramatic volcanic craters, and charming Hawaiian towns. You’ll agree that there’s nothing on Earth quite like it. The next two days are free for you to enjoy at your leisure. 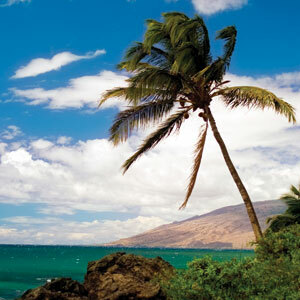 Join one of the many excursions available, including a scenic journey through upcountry Maui to the top of the world’s largest dormant volcano, Haleakala, or a visit to the Maui Tropical Plantation and `Iao Valley. Arrive at 8 am and overnight in Maui. 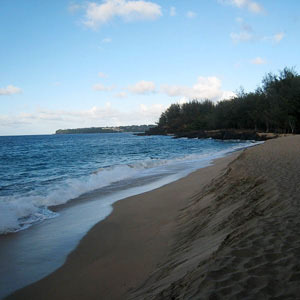 Another day in paradise offers you the flexibility to enjoy one of the many beaches that surround Maui. For early risers, consider an excursion to view Haleakala Crater at sunrise. This adventure takes you to the top of the Haleakala volcano, the “House of the Sun,” rising more than 10,000 feet above sea level. Marvel at the crater’s eerie, lunar-like landscape of cinder cones and ancient lava formations. The view is absolutely amazing. Depart for the “Big Island” at 6 pm. Larger than Hawaii’s other main islands combined, the Big Island of Hawaii is spectacularly diverse in both landscapes and activities. Pristine beaches, curious lava formations, the Earth’s tallest sea mountain, and the world’s most continuously active volcano all make this island a completely unique adventure. The entire day is open to independent activities. You will have the opportunity to choose from a variety of shore excursions, including Hawaii Volcanoes National Park and Rainbow Falls. Experience the 80-foot falls that cascade into a circular pool in the Wailuku River—as they hit the water below, rainbows often appear in the mist. Then, experience the fascinating drive along the 11-mile Crater Rim to enjoy a unique view of this volcanic landscape. Arrive in Hilo at 8 am and depart for Kona at 6 pm. You’ll enjoy a morning arrival in Kona. Choose a helicopter ride for a bird’s-eye view of Kilauea Volcano’s active areas, ranging from surface flows to skylights to bubbling lava. After a brief return to Hilo’s airport, take to the skies again for an exploration of Hawaii’s lush rainforest and Hamakua coastline. For those who prefer to stay a little more grounded, discover the historic city of Kona along Hawaii’s beautiful sun-drenched Gold Coast. Your route will take you past ancient temples, fields of coffee and macadamia nuts, and breathtaking coastal scenery. Arrive in Kona at 7 am and depart for Kauai at 5:30 pm. The “Garden Isle” of Kauai has a lush, rural feel and a laid-back lifestyle all its own. After all, it is Hawaii’s oldest island and, as first-born, has a legacy of paradise to uphold. A trip around Kauai is a feast of tropical forest, cascading waterfalls, golden-sand beaches, swaying palms, majestic mountains, and almost-daily rainbows. A full day of activity awaits your participation. You may choose an excursion to enjoy the dramatic natural attraction of 2,857-foot-deep Waimea Canyon and a ride up the Wailua River to the famed Fern Grotto. Arrive at 10 am and overnight in Kauai. Today is the perfect day to relax and enjoy the sandy beaches of Kauai or to shop for souvenirs before departing for Honolulu at 2 pm. Arrive in Honolulu at 7 am. Disembarkation usually begins two hours after docking. The trip ends this morning with guests departing on individual schedules. Transfers are provided to Honolulu International Airport. Please schedule flights after Noon. Cruise itinerary and times are provided by Norwegian Cruise Line and are up to date at time of printing. Your travel documents will contain the most current information. This hotel graces a former royal estate and is located just steps away from Waikiki Beach, entertainment, and world-class shopping. The hotel features access to Waikiki Beach, a swimming pool, three restaurants, and 1,150 comfortable rooms. Pricing is based on a partial oceanview room. Cruise pricing is based on inside cabin, category ID, IC or IA; upgrade to an outside cabin category OA from $107 to $555 or a verandah cabin category BC from $416 to $935. Cruise line non-commissionable fare, government taxes, and fees of $385 to $388, depending on date, are not included in cruise price. From $1,695 depending on date and cabin category. 2017 prices and itineraries are subject to change. Details will be available in August 2016. The following charges are not included in the land vacation price unless otherwise noted: airfare to and from the start of your vacation; Intra-vacation air unless specified in the itinerary; airline baggage fees including checked and/or excess baggage fees; Federal inspection fees for the Federal U.S. Customs and Immigrations; International Air Transportation tax; agricultural tax; other per person taxes imposed by government entities; airport taxes and fees including the September 11th Security fee up to $11.20 per person, passenger facility charges up to $18 per person, Federal domestic flight segment fees up to $4.00 per segment, and U.S. and International arrival and departure and other government-imposed added by the airline and applicable at time of booking; port taxes; passports; visas (except on Cuba programs) and vaccinations; tips to your Tour or Cruise Director, Globus Group Leader in Cuba, Local Host, driver, Local Guides, and/or ship’s crew; gratuities on ferries, trains, and cruise ships; laundry; telephone; minibar; alcohol, beverages, and food outside of the contracted Globus menu as presented at a hotel or restaurant or onboard your vessel (these extra items will be billed to you before leaving the hotel, ship, or restaurant); airport transfers on non-qualifying flights; optional excursions; additional activities and excursions purchased online; porterage at airports and train stations; Travel Protection; and all other items of a personal nature. For air departure dates within 331 days, you’ll be offered a choice of carriers and flight schedules as well as price points to choose from when selecting your flights. Your schedule will be provided to you at the time of booking (schedules are subject to change by carriers). Globus offers 2 air options: Flex Air and Instant Purchase Air. Flex Air allows flexibility if you want to make changes to your vacation schedule. Instant Purchase Air may offer additional airline options but has more restrictions. Some vacations may only offer one Air type option. Guaranteed air-inclusive prices: air is only available to passengers traveling from the United States and only available when booked in conjunction with a land vacation. An additional $300 per person non-refundable air deposit is required for Flex Air booked in conjunction with any land vacation (i.e. air-inclusive vacation). Air can only be booked by Globus in conjunction with a vacation package. Instant Purchase Air requires air payment in full at time of booking (i.e. air-inclusive vacation) plus non-refundable per person service fee ($30 for North/Central America, $50 for Europe/Middle East and $80 for all other destinations. Once booked, Instant Purchase Air is non-refundable, and non-changeable. Some vacations may only offer one Air type option. However, once your airfare is confirmed and Globus has received your full air and land deposit, your air-inclusive vacation price is guaranteed. Air-inclusive vacations include government-imposed taxes and fees applicable at the time of booking and will be shown as a Total Amount. Additional airline fees for baggage may apply. At the time of booking your air-inclusive vacation online, carrier Websites will be provided to check baggage fees, or you can visit http://www.iflybags.com for up-to-date baggage pricing/restrictions. For return travel from some countries, international travelers are required to pay entry and/or exit fees at the airport. These fees will be collected by the local government and are payable by the traveler at time of travel. Your confirmation booking information will contain information about these fees.